Deciding what you want to do with your life is one thing, deciding where to do it, is another. At Medavie HealthEd, we want to make your dreams a reality. We have a lot of experience and we want nothing more than to share it with you. Over the years, our program has evolved and adapted to better suit the needs of our candidates. This process never stops. We have streamlined the ability to add information to our programs to ensure that you are always learning the most up-to-date material. We take pride in our programming, we want you to do the same. 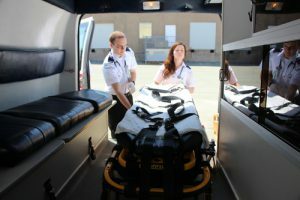 All of our paramedic programs that we are currently delivering are accredited. This not only means that our college meets the national standards for training, but also a necessity to register and work as a paramedic. We offer the best training, and we want to train the best. 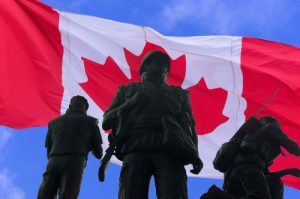 We are proud to be the key training partner of the Department of National Defence for the Canadian Armed Forces. To date, we have delivered our English Primary Care Paramedic program to hundreds of military personnel who dedicate their lives to serve and protect ours. As we continue to deliver this training, we carry a sense of pride in knowing that we are helping them save lives.